Odyssey HDRF configurations include manual or cassette loading with one or two process chambers. 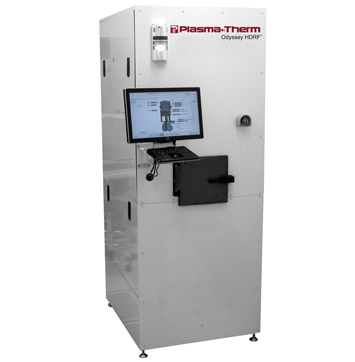 Plasma-Therm's Odyssey HDRF™ offers scalable, lab-to-Fab configuration, from a single chamber with manual loading, to production-ready systems with two load ports and up to two process chambers. A single-process chamber Odyssey HDRF™ can be upgraded at any time to dual process chambers. 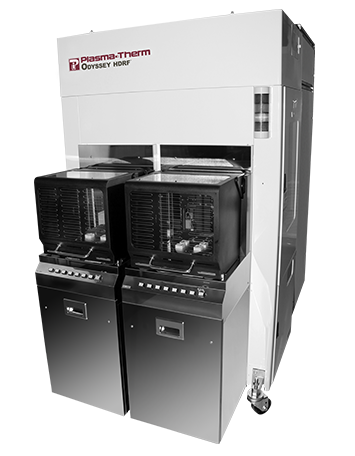 Dual-chamber systems can be configured for single-sided processing or sequential dual-sided processing. All Odyssey HDRF™ systems are built with highly reliable components to achieve system uptime of greater than 92%. Three gas lines standard; one additional gas line optional. Four additional gas lines optional in external gas box.